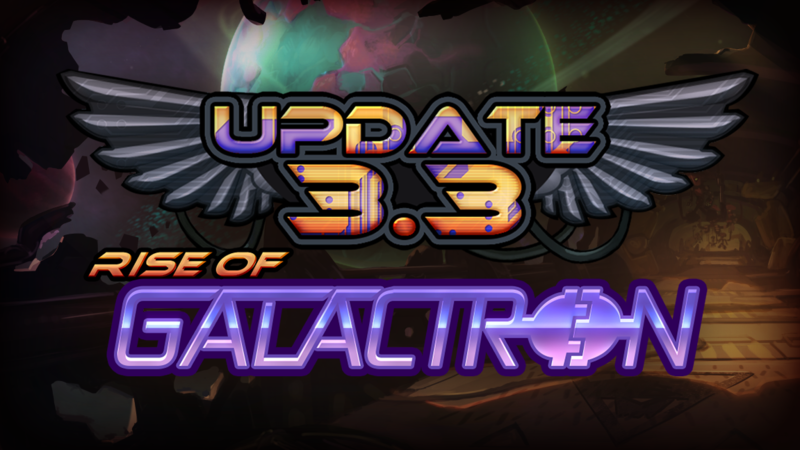 Awesomenauts 3.3: Rise of Galactron will bring many important changes to Awesomenauts, and we’ve been talking about some features already. Earlier, we talked about the rejoin system and the removal of late-joining as well as the persistent parties that will be added in Update 3.3. Today we’ll talk about the most hotly-anticipated feature of all: a complete overhaul of the matchmaking system itself! In order to improve the matchmaking experience, we’ve completely rebuilt the system from the ground up. 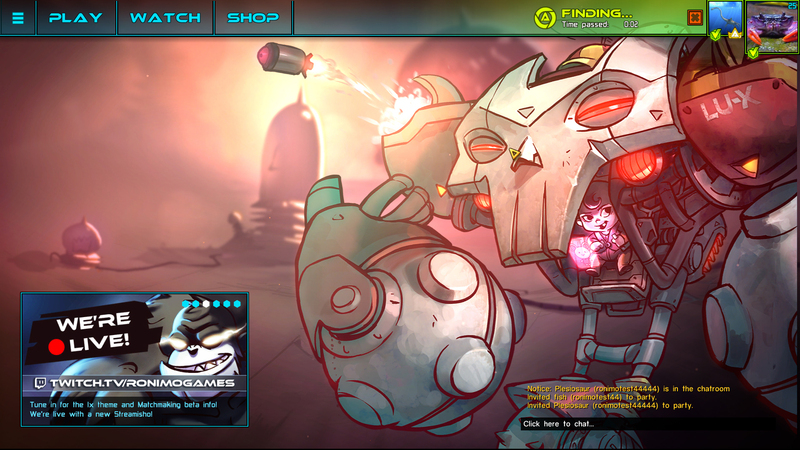 When Awesomenauts 3.3 launches, the game will no longer require you to maintain a non-stop connection to the Steam servers, which will ensure you don’t disconnect from a match if the Steam servers go down for a second or two. Matchmaking is entirely handled by our own tech, and we’ve fundamentaly changed the matchmaking flow to improve the experience. The current pre-Galactron matchmaking system tries to do the best job it can, given the matches available at that time. The system looks at the available games and picks the one that’s the best fit for you. If the match hasn’t started yet, you will have to wait until the game fills up before you can start. That means the system handles players one by one, and does the best it can with every single one of those. However, by handling all players at the same time it could probably do a much better job. That’s exactly what Galactron will do! When Galactron goes live and you hit Battle in the main menu, you’ll register yourself with the matchmaking system and begin to test possible connections to other players. At set intervals, or whenever enough players have registered with the matchmaker, your system will give the matchmaker a ‘report’ on your possible connections to other players. The matchmaker will then use this information, together with your ranking information, to distribute all available players across a multitude of different matches. All of these matches will start at the same time, and the matchmaker aims to create the very best combination of players for each game – taking into account your connection quality with those players, the rating of all players in the game, and the rating of all players on each team. While the matchmaking system is preparing all this, you can continue to navigate the menus, use the Global Chat and new party chat features, and use other features in the game. The only thing you can’t do is enter a different match or make changes to your party composition. If you Alt-Tab the game while waiting for your game to start, you’ll receive an audio-warning that your game has started. The quality of matches will improve substantially, but there is still a chance that the match you end up in might not be perfect. After all, we can’t eliminate latency between players entirely and sometimes a player who is a perfect fit with you in terms of experience might actually have a ping that’s a little higher than you’d like, or have a great connection with everyone else in the game. There are just so many factors involved in making a perfect match (we can’t account for your roommate turning on their torrents mid-way through a match, for instance) but it is important to note that on the whole, your matchmaking experience will improve substantially! That said, we’ll continue to tweak the system to make sure the matchmaking experience continues to improve from here on out! We’ll listen to your feedback to improve this design further, so please let us now what you think when the Open Beta launches on July 20th!